What if I told you, there is a tobacco that smokes cool like latakia, has a nic hit of a good burley, tastes like a really sweet red Virginia but is 100% made of a single type of local tobacco that the owner refuses to tell the name but calls it only "Little Witch"? Yep, there is a guy down here, that plants the same kind of tobacco, harvests it, lets it dry, cuts it and sells it for pipe smokers. No big tobacco company BS, no preservatives, 100% locally grown organic bright Virginia. That packs a punch and tastes very much like McClellands red VAs. He also makes his own blends. He gets this delicious leaf he makes and with only a handful of latakia, a single type of burley and another kind of VA, he makes 7 different cakes. Now, the thing is so pure that it must be kept in the fridge and dry as possible so it wont grow mold. The gentleman now faces a situation where he loves the results of the cakes he makes (and he is right, it is delicious!) but that pushes the moisture to the outside and invites mold in. So I'm trying to find a way to keep it from getting moldy and at the same avoid, IF possible, preservatives. I would like to help him with this quest. It is way too good to let this be THE thing that prevents him from making it. 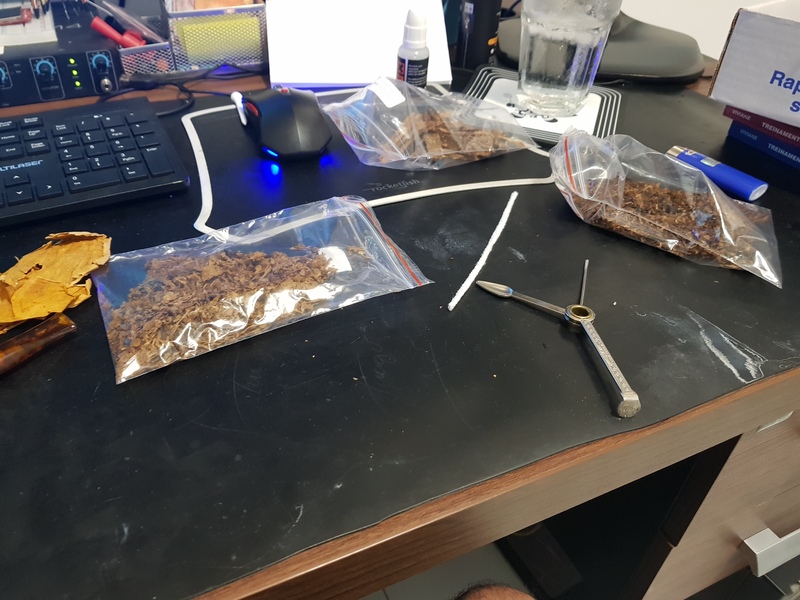 I think if the tobacco were vacuum bagged soon after pressing it would do the job. No (or very little) oxygen should prevent the mold from forming. Those food saver vacuum machines pull a pretty good vacuum. That does sound like a good tobacco. It tastes great too! It is so funny that just now I give the ribbon cut the honor it deserves. You see, it is not that easy to get a fine ribbon cut. 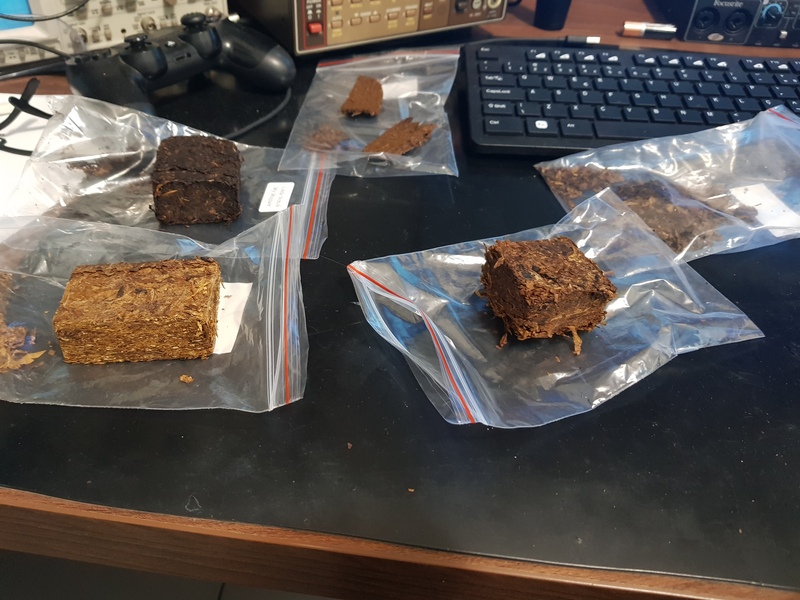 Many of the tobaccos sold here are a course cut and depending on how course it is it can really affect how you fill up your bowl. Because the amount necessary to fill up the pipe is enough to clog it. So a full bowl has actually way less tobacco than you would have imagined it would take, also a regular size bowl lasts for nearly half the time. 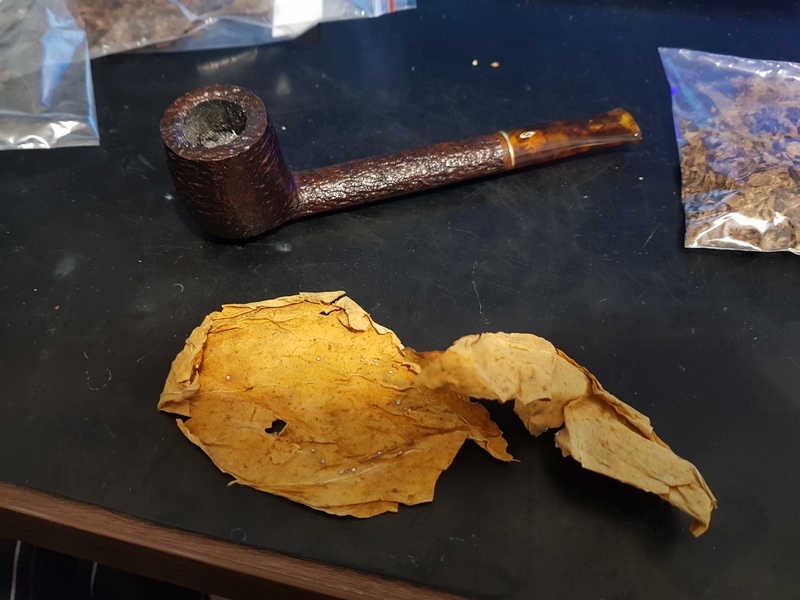 A good side of it is that because they have nothing there besides the tobacco, it actually burns to such a fine ash that you can smoke it to the last bit of tobacco without heating it up too much. Do you know of any mild preservatives that would help in this process? Because something tells me that alone won't be enough. Propylene Glycol(PG) is the most common commercially used additive to retard mold growth. A lot of folks have a negative opinion of this as and additive, despite it being used on virtually every single commercially available blend out there. Additionally, I've read that a lot of the blends that seem to lack PG are using a substance called Mycoban, which is Calcium Propionate. If you want to avoid PG or Mycoban, A vinegar/water mixture is also pretty widely used to retard mold growth on tobacco amongst the DIY folks. I think a light vinegar/water mixture is best. PG is mostly used to maintain moisture and flavor, I don't think it has any mold inhibiting characteristics. And, it sure does retain moisture, since tobaccos with it never do dry out. PG is used as a humectant, flavor carrier, and because it has antimicrobial properties, a mold inhibitor(it's used as a food preservative for the same reason). It's multiple uses explain why it's so widely used. While PG has antifungal properties, I believe it needs to be used in pretty large amounts to really provide protection. In higher concentrations it's fairly sweet tasting, so that's why its generally in Aromatic and cheapo tobacco. I don't think it's a good choice for a quality natural tobac. That's why I would favor the vinegar/water vacuum pack approach. Vinegar is a good antifungal with, IMO, a flavor profile more appropriate to a good tobacco. Doubtless why McClelland used it.